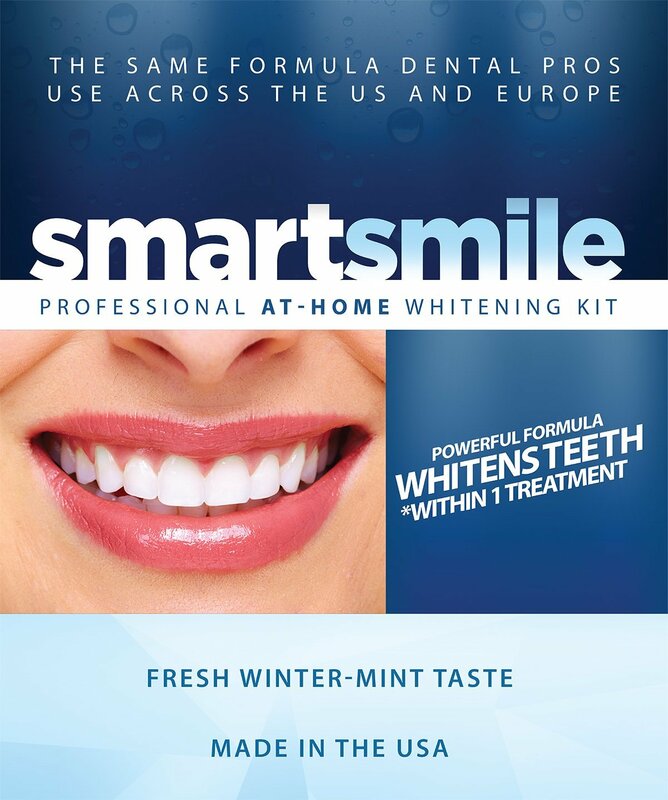 I just tried out this great teeth whitening set from SmartSmile. This is a really great set. You get a set of plastic trays that you can heat up with warm water to make pliable and then mold to your teeth to get a customized set. You also get two tubes of teeth whitening solution. Simply apply a dab of the solution to each tray and put in the mouth for 5-10 minutes about every 10 days for the best results. I’ve used mine twice and I can already tell a difference in how white my teeth are. I also like that the solution doesn’t have a bad taste to it, I have tried other brands and I don’t like the taste of them. I really like the teeth whitening system. Smartsmile Professional Teeth Whitening Kit includes 2x 10ML whitening gel syringes for 20 treatments, two thermoform trays, everything you need to whiten your teeth! • Comes with a Thermoform trays that are adaptable to fit a range of mouth sizes; simply follow the instructions and submerge in warm water and fit to your teeth. • Easy to use; simply apply gel to trays and insert for between 5 and 15 minutes each day. • Contains Propylene Glycol, Kosher Glycerine, Carbamide Peroxide, Hydrogen Peroxide and 35% carbamide peroxide gel for fast whitening. Begins whitening from first treatment, and whitens a few shades within days. • Fresh winter-mint taste; no sour aftertastes. 30-day money back guarantee no questions asked.